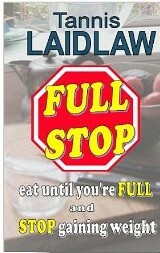 I’ve been doing low carb for many years and am happy to have found this good-sense book by Tannis Laidlaw. She describes the dynamics of a low carb lifestyle very well and includes many good studies that show there’s nothing to fear by following this way of eating. In fact, she cites studies that prove how low carb helps in many healthful ways. If you’re interested in trying low carb, I’d suggest reading this book. If you’re an old timer with low carb, you’ll enjoy this book for her anecdotes and recipes. If you’ve been afraid to try low carb, read this to find out why there’s nothing to fear and everything to gain (except weight!!). Thanks, I will have to check this out!